After a busy week, clear your head with a stroll along the scenic Freedom Trail. Discover Boston’s role in the fight for independence, experience the magic of colonial-era confectioner Captain Jackson's Historic Chocolate Shop, then stop for a photo with the famous statues on Paul Revere Mall. On your way back to your student housing, stop by Monica’s Mercato & Salumeria to sample the deli’s award-winning Italian subs, or meet your friends for traditional American diner fare at Theo's Cozy Corner. Later, enjoy a free play by the Commonwealth Shakespeare Company on beautiful Boston Common. 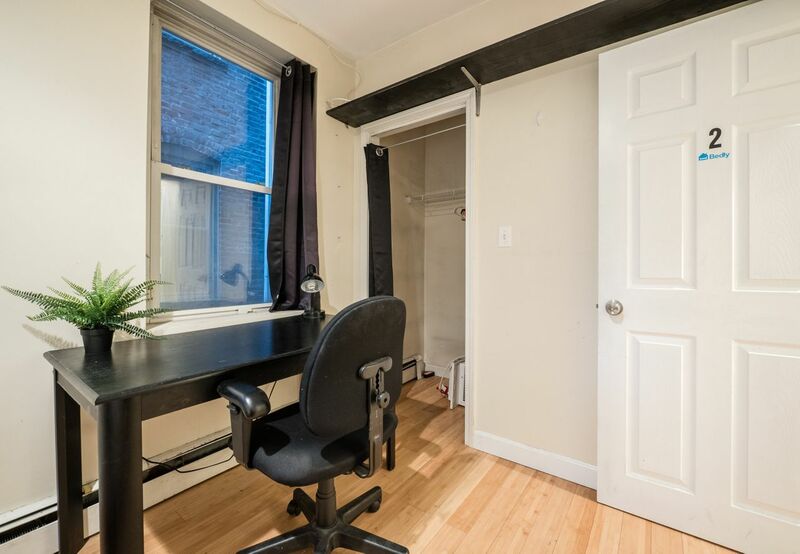 From your four-bedroom apartment at 140 Prince Street, you can ride the subway to MIT in 20 minutes, or to Boston University in 30. Your closest subway stop is a seven-minute walk away, making it easy to explore on weekends. In the morning, use the kitchen’s stainless steel appliances to whip up a quick breakfast, then enjoy the balcony’s view over the backyard while you eat. Before leaving, throw your dirty plates in the dishwasher and gather your washing for a trip to the on-site laundry facility. 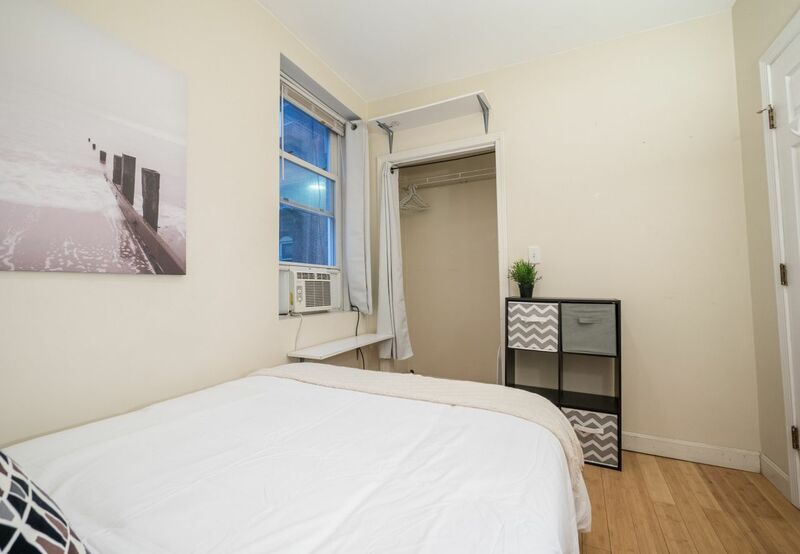 At 140 Prince Street, you can design your apartment yourself, or opt to have it pre-furnished for an extra $100 per month. After a long day, relax on your comfy bed with your laptop. Catch up with family back home, research your latest paper, or use the high-speed Wi-Fi to stream your favourite series. When you need a change of scene, wander up the road to the waterfront bocce ball courts at Langone Park, then invite your friends over for dinner in your newly remodelled kitchen. After dinner, get ready for the evening ahead with a long, hot shower in one of the apartment’s two bathrooms. With all utilities included for $70 per month, you don’t have to ration your water usage. Collect your clothes from the dryer, or rifle through your wardrobe for a new outfit before heading out to explore the city’s nightlife. Catch a stand-up comedy show at Improv Asylum, find yourself fascinated by the stars at the Skywalk Observatory, or catch the subway to the heart of the Theatre District. 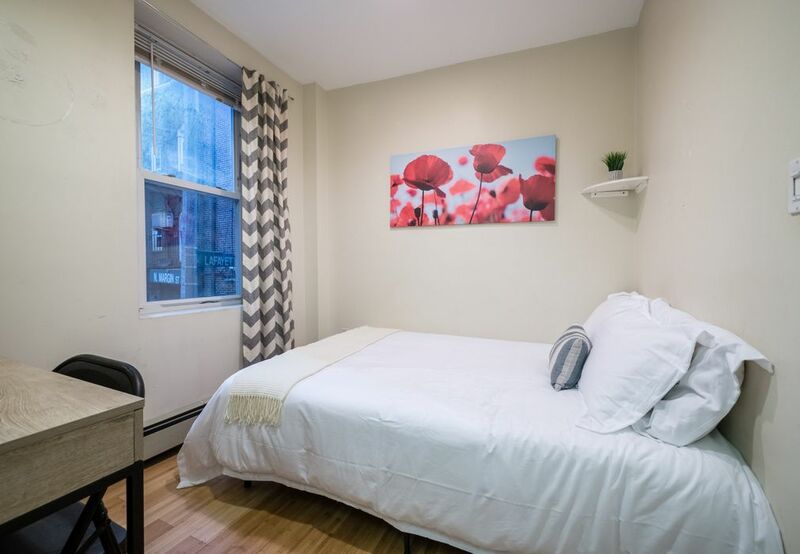 We couldn't find a room that matches your preferencesView all Private Room in North End - 140 Prince Street.